If you’re planning on purchasing the 2016 Land Rover Range Rover, you might be wondering what kind of models and trim levels you’ll be able to choose. 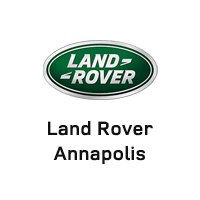 Learn about your options with Land Rover Annapolis today. The base 2016 Land Rover Range Rover starts at just $84,950. You’ll get premium control systems like the Terrain Response system, with six driving modes that adjust your vehicle settings to take you easily over any kind of ground in Arnold. The Hill Descent Control system applies brake pressure to help you up and down steep slopes. Push Button Start with Passive Keyless Entry lets you use a remote key fob to lock, unlock, and open your Land Rover Range Rover. The rear view camera and front visual display gives you a crystal clear view of what’s behind your Land Rover Range Rover for ease and confidence when backing up, while the hands-free gesture controlled powered tailgate lets you load in your gear even with two hands full. Xenon automatic headlamps and LED exterior lights cast a brighter and clearer light than traditional halogen lights. Inside, heated leather-trimmed seats offer premium comfort, with a split-folding 60/40 folding rear seat that lets you load your luggage through the back. The 8-inch touchscreen includes a GPS navigation system with “Say What You See” intuitive control, along with Bluetooth phone connectivity for hands-free phone calls. Finally, the 13-speaker Meridian audio system includes Sirius XM for your entertainment and information. 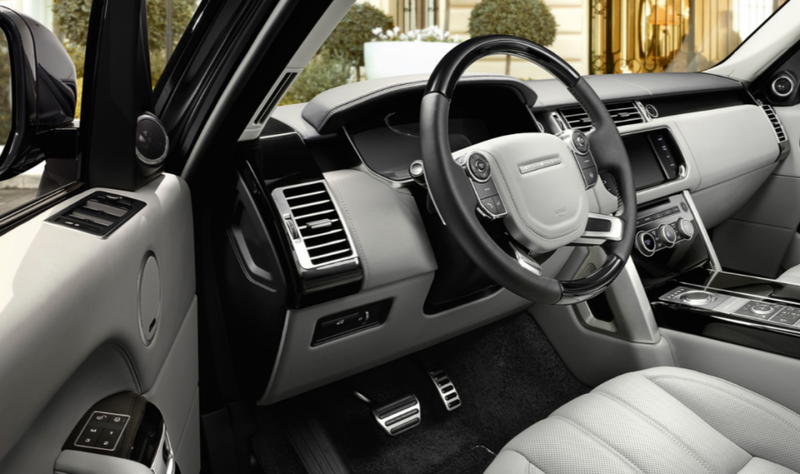 The HSE Land Rover Range Rover starts at just $91,950 for even more great features. The sliding panoramic roof opens up the cabin to let in the light and air, while the Grand Black Lacquer Trim adds a touch of sophistication. Oxford perforated leather seats include front climate seats and heated rear seats for everyone’s comfort, while the 14-way power-adjustable front seats with memory function let you customize your seat to your comfort without having to re-adjust it if someone else is driving. The soft door closing system makes it easy to close the door and walk away with an obnoxious slam or worrying about the latch closing. Finally, the auto-dimming heated exterior mirrors banish snow and ice on chilly days in Washington DC. Starting at $103,195, the Supercharged trim level adds a 5.0L V8 engine with stop/start technology that saves fuel for better mileage even in difficult Baltimore traffic. You’ll get great performance features like Terrain Response, All-Terrain Progress Control, and Dynamic Response for negotiating difficult terrain, while front fog lamps cut through the gloom of a dim day. The deluxe Autobiography trim level starts at $139,995 for luxurious features you’ll love. The Meridian 29-speaker audio system with 3D surround sound offers concert-quality music, while the 18-way adjustable front seats add a massage function and memory to keep your back limber on long drives. Safety features include a surround camera system, parking assistance with park distance control, blind spot monitoring and lane change monitor, and even adaptive cruise control with intelligent emergency braking. Are you ready to invest in the 2016 Land Rover Range Rover? Take a test drive of this rugged vehicle with Land Rover Annapolis today! You can call us at (410) 907-8300 or come see us at 101 Ferguson Rd, Annapolis, MD.